Bridgett Ladd is an Actress, writer, producer, director and member of SAG/AFTRA and Alliance of Women Directors. She’s been writing screenplays and shorts for several years. In late 2015, she participated in the Horizon awards by donating funds to support up and coming female filmmakers. Because of this she was honored to have a very informative interview with Legendary producer, Cassian Elwes. He advised her to start producing her own short films and get them into as many film festivals as possible. 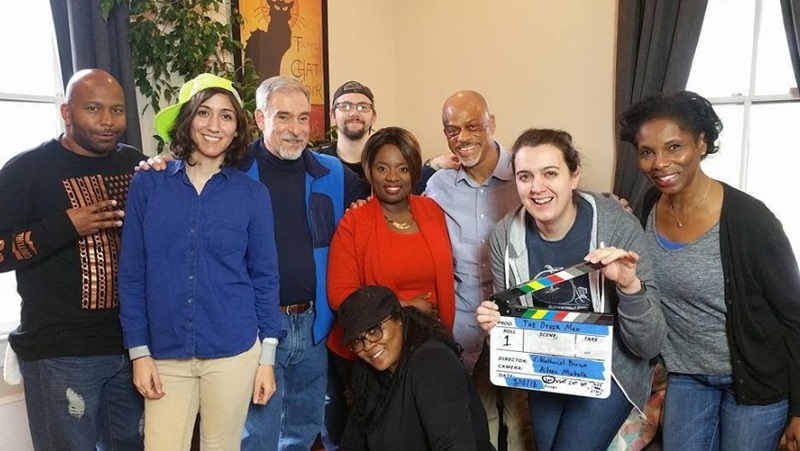 Two months later, she began casting Atlanta actors for her short, Wounded Hearts which later won “Best Screenplay at the TPN film festival and later produced a Sci-Fi short "Conflicted. She has written a drama pilot, Ocean Drive” as well as four feature screenplays. 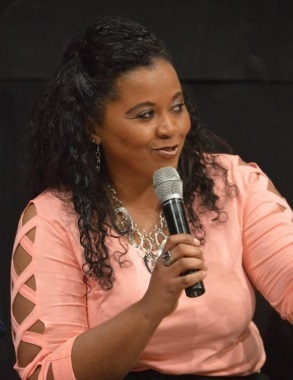 She loves to write dramas and especially drawn to writing about women overcoming adversity. However, she has stepped into comedy with her latest Comedy Pilot , Dirty Laundry. She spent several years attending various writer workshops, online writing courses such as Aaron Sorkin screenwriting Masterclass. She recently completed her forth short film " The Other Man" which is now in post-production. Her Motto is DON’T WAIT, CREATE . Never sit around and wait for the phone to ring. You're the BOSS. Create your own content, study, read, network and always be prepared. I’m a storyteller and I write and produce. I’m also good at people watching I love to observe people when I’m out with friends. This is how I sometimes come up with the characters in my films. I’m also good at Zumba because I love to dance. I’m always learning and reading which makes me very discipline and I strategize maybe too often. I create a list of affirmations that I say daily. I say it morning and night so that my subconscious mind can believe it. I keep a positive mindset. Because everyday won’t be great but you’ve got to stay Thankful for the same things. To continue to grow as a writer, producer and produce my own sitcom on a major network. To add more awards to my collection and to financially bless my family and friends. I also cherish the Women in Film and the Alliance Women Directors organization and would like to donate and start a scholarship. I would love that beach house in Bahamas. 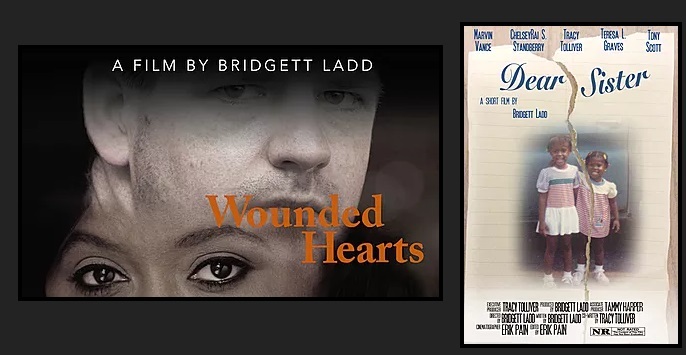 I’ve been writing for years and I decided to put together a production team to produce my first short film, Wounded Hearts and five months later it won “Best Screenplay” at the TPN film festival. I’m always honored to meet Female Writers and Directors that I admire along this journey. There’s several but what stands out is when I had to fund my first two projects. I didn’t have all the money I needed and I had already scheduled shoot dates. I was getting discouraged so I tried crowd funding and it didn’t work. The interest rate was too high at my bank. I had to be honest with my cast and crew about my finances. We agreed to payment arrangements and it worked out after I stopped stressing. DON’T WAIT, CREATE . Never sit around and wait for the phone to ring. You're the BOSS. Create your own content, study, read, network and always be prepared. Michele Obama because of her strength, dedication to children’s education and Oprah, she’s a business woman who owns her OWN Network with such class. My favorite lady is indeed my MOTHER, JAN, my biggest supporter, she keeps it real, a down home southern girl and she’s an awesome cook. I don’t have that cooking skill. I LOVE Nassau Bahamas, I could write all day on the beach. I love serene, relaxing places where I can focus and write. However, I do love the nightlife of NYC and the hype spot at the GROVE in LA. I reside in Atlanta so I like to drive up to the Mountains, the view is Amazing. The stories of Amazing Women that have overcame adversity. I’m currently writing a biopic of a female kickboxing Champ. I met her in NYC and read her book and we’re excited to be writing the screenplay.